Social media has two purposes: sharing information and marketing. 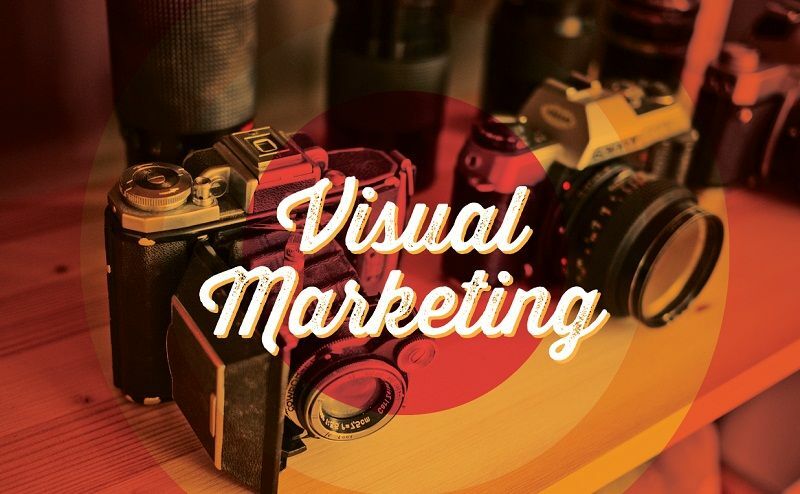 For those who engage in social media marketing, visual content is almost a necessity: attaching a visual or video will greatly increase the likely that it will be seen, clicked on, and result in a conversion. Because you're a smart marketer, you know not to overdo it with marketing messages. Most of social media should be about interesting news and topics related to the product, items that interest your followers and customers. So when you delve into the social marketing stage, you'd better make sure that post, tweet or pin is among the best stuff you've put out there. The Big Three in social media—Facebook, Pinterest and Twitter—put a huge premium on visuals. Pinterest is all about it and is the leading social network among women. Until recently, Pinterest was all about organic (nonpaid) marketing but has begun rolling out advertisements (Promoted Pins) to a select group. Ecommerce sites will be particularly interested in them, as 23 percent of all visits to them come through Pinterest, according to Business Insider. Facebook and Twitter have made it more difficult to promote organic material, although historically, graphics have helped generate "likes" and "retweets." Some observers say Facebook rewards advertisers by featuring their organic materials more prominently in its feed. Facebook says that its ads work and naturally help promote organic posts. Twitter favors graphics that enter its system through its own upload tool. Tweeting expert Dan Zarella says using pic.Twitter.com boosts the likelihood for a retweet by 94 percent! Twitpic, another uploading system, boost them by almost 65 percent. Don't introduce Twitter's competitors into the picture—uploading links from Instagram or Facebook reduces retweets by more than 40 percent, according to Zarella. Facebook expert Amy Porterfield insists it's still possible to increase engagement organically. People like nostalgic or humorous posts accompanied with a matching graphic. They share posts with graphics that display statements and comment on posts that ask questions. Posts that generate clicks are accompanied by highly customized graphics; infographics seem to be particularly well-received on Facebook and Google Plus, according to Porterfield. Always use professional-looking graphics but be aware that you won't be able to upload graphics with high-image quality through tools like Hootsuite. Chances are, you will have to reduce their sizes on these tools. But direct uploads, which tend to increase visibility on networks like Facebook, can handle pretty big files. Videos also require direct uploads. Please only use graphics you purchase or have permission to use from the artists. You may be pleasantly surprised by the reasonable costs for images on sites like Shutterstock, which also offers video and music to complement your posts. Connecting with self-identity and expression. Although all age groups respond well to video, it's Generation Y and Millennials for whom sharing video and other information online is a social norm, says Pew Research. Brands and products preparing to launch or do a major relaunch would be wise to study ways to appeal to this generation, as they are the ones who set most of the trends. For those who are visual learners here's an infographic from Newscred that illustrates why a picture is worth more than a thousand words.